Wow! This is one of the most unique infused waters we’ve ever tasted. 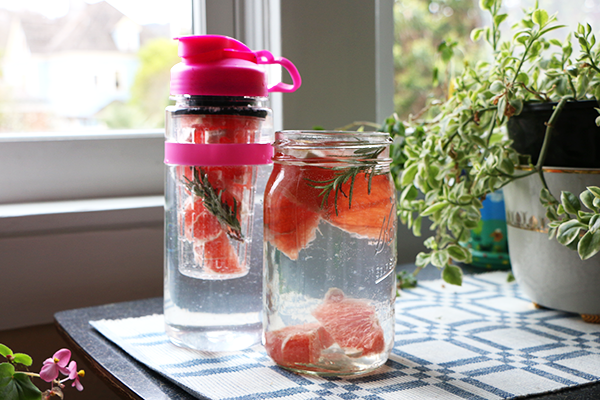 Tangy grapefruit and herbal rosemary combine for a flavor-packed water that helps to detoxify your liver and give you a boost of vitamin C.
This recipe makes two containers of infused water, which also gives you the opportunity to experiment with how much rosemary you prefer. 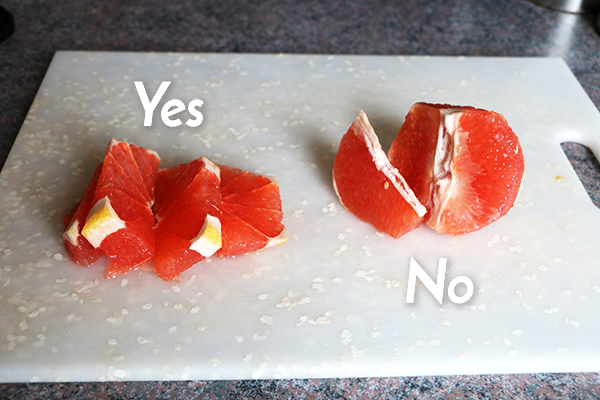 Cut the rind away from the grapefruit and cut the fruit into slices. Fill the Ball jar or infuser bottle with water, then lower the fruit into the water (instead of pouring water over the fruit). Use half of the grapefruit and half of the rosemary per container. Infuse for 2 hours at room temperature and up to 24 hours in your refrigerator. More detail below. These simple ingredients make this infused water easy to make and affordable. Cut the ends off of the grapefruit, then use a sharp, small knife to cut away the rind (which can make your infused water taste very bitter). I highly recommend the Wustoff Santoko Knife for manipulating and slicing fruit. You do not need to achieve perfection when removing the rind. If some of the rind stays on the fruit, that is okay. And if you cut too much of the fruit off with the rind, simply squeeze the juice from the cut pieces into your water container. 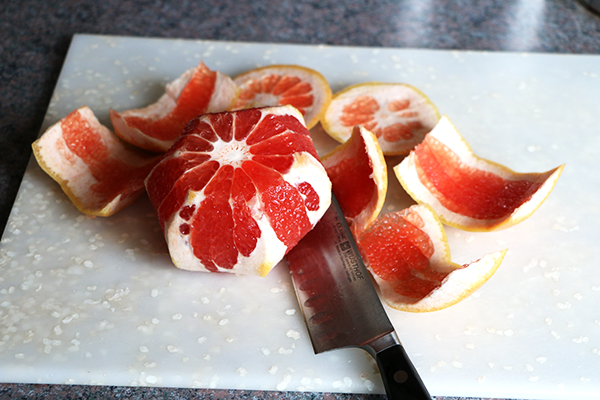 After removing the rind, cut the grapefruit into horizontal slices. 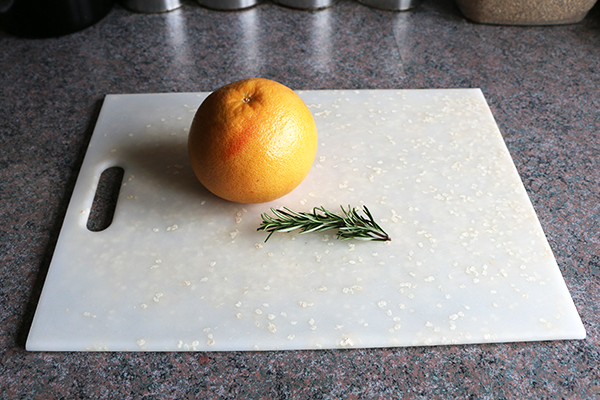 Cutting the grapefruit against the grain will allow for more juices to seep out. Use half of the grapefruit and half of the rosemary sprig for each container. Fill the Ball jar or infuser water bottle with cold, fresh water, then lower the fruit into the water by hand. This prevents the fruit from producing floaters. If you take the infuser water bottle with you as you go to work, the water will infuse quickly and be ready to drink in a couple of hours. You may want to add some ice cubes as this recipe is best enjoyed cold. Meanwhile, leave the Ball jar in your fridge so that you can enjoy it that night or the next day. 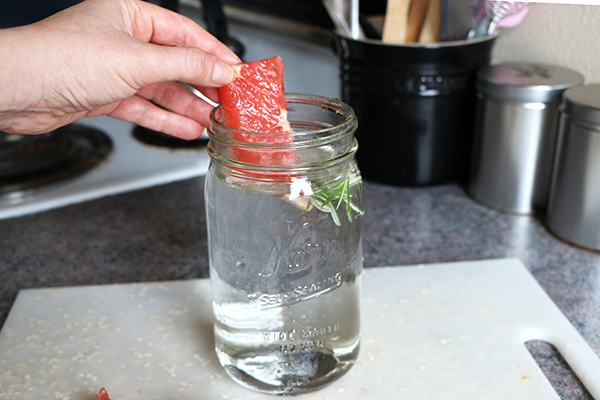 You can infuse this water for up to 24 hours, though you may want to remove the rosemary after 4 or more hours so that it does not dominate the flavor. Let me know what you think and if you have any suggestions! Health note: While you might consider grapefruit to be acidic, it actually leaves your body in a more alkaline state due to its high mineral content. Alkaline foods help keep your body balanced, especially when we consume acidic foods like sugar, white flour, and processed meats. 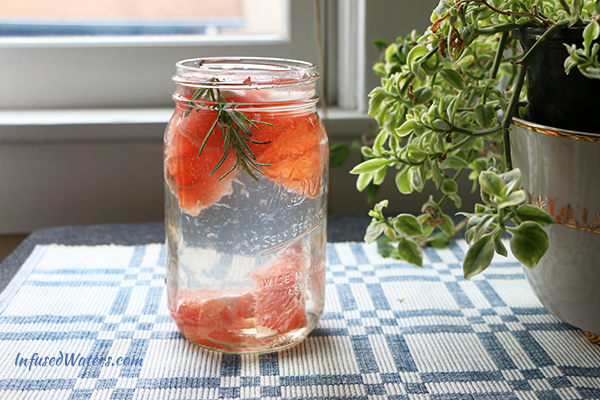 This grapefruit and rosemary combination is a refreshing twist on the standard “lemon water” that I drink most of the time. 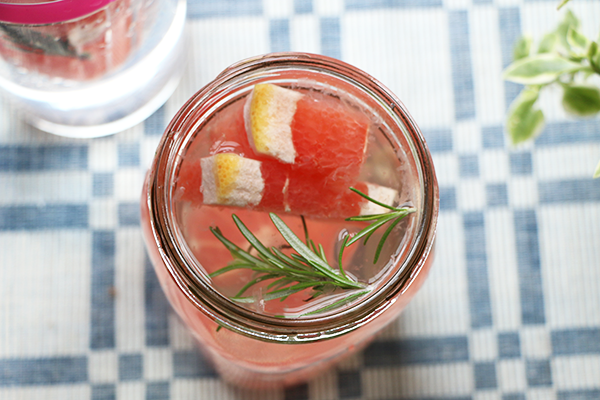 Rosemary and grapefruit are natural compliments. This is an idea beverage for the AM as a healthy way to replace that morning coffee! Do you shake them? How strong is the flavor? VERY strong – I didn’t care for it. I’ve also had to add Stevia to the grapefruit Rosemary water, just so it’s palatable, and I don’t have to pour down the drain. This was a miss for me.😟 But at least it wasn’t hugely expensive. What if you added orange slices to sweeten the grapefruit? I recently came across an adult beverage called the Rosemary Greyhound. It’s fresh grapefruit juice sweetened with rosemary simple syrup and of course mixed with vodka. The mixer alone was amazing. I must try this next! I loved this but I would add more rosemary to offset the tartness. Definitely a whole sprig to a half grapefruit. Though, it may just be the grapefruit I’m getting. A bit difficult to get fresh rosemary in Malaysia where i reside. Tried it with dried rosemary. The flavor of rosemary takes the whole day to infused to the drink. 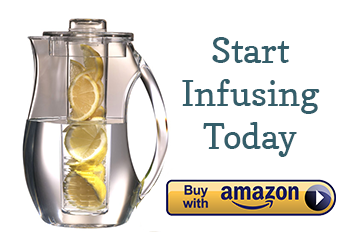 I tecently started drinking this infusion & my urine had been extremely yellow! Like fuchsia!!! Is this normal?? Lala, that’s from the grapefruit. Pale to yellow is ok. Also try taking Black Seed oil to correct the color of your urine.